Samsung Service Center in Dubai:There are a few brands in the market which has earned high goodwill amongst customers. One such name is Samsung. 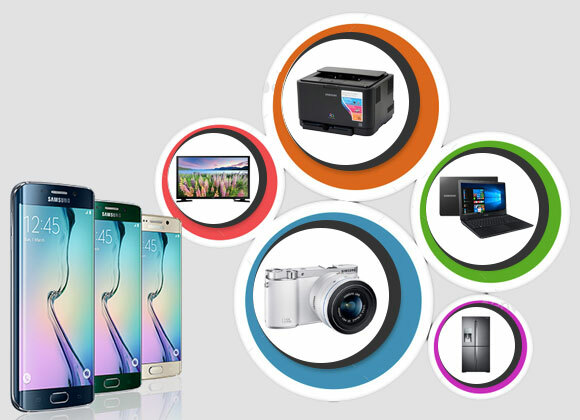 Whether it is home appliances, mobile, laptops, refrigerator or tablets, Samsung offers a wide range of products to almost all segments of the electronic market. The brand is continually making efforts to develop and expand the strategic products in the consumer electronics division. For its innovative design of the products and exceptional technology, the company has achieved remarkable growth in the digital appliances business. But it is certain that you will face problems with these gadgets. Whenever you get any issues, you look for a trusted service center where the issues will be resolved completely and that too at pocket-friendly prices. Technology is ever evolving and it is offering people a better lifestyle. With the development of the electrical gadgets, the problems are also increasing day to day. These problems are not only affecting the devices’ functionality but also making your life more challenging. Samsung products are undoubtedly quite reliable in terms of both performance and longevity, but these devices are also immune to errors and faults. Different electronic gadgets have different issues, depending on the functionality and the usage of the gadgets. These issues are sometimes minor, which can be easily solved by following certain procedures or easy steps and sometimes major, which needs the advice of an experienced technician. Apart from these mentioned above, there are various issues which the Samsung users encounter often. If you are one of Samsung product users and encountering any technical setbacks in your Samsung digital product, then come to us to avail our enhanced services unhesitatingly. Our pool of dedicated professionals at UAE Technician is proficient in handling the different sorts of problematic devices and thus have gained reputation and popularity in the market for providing excellent Samsung laptop repair. With the experts at UAE Technician, you will get a huge range of Samsung repair services at affordable prices without compromising on quality. Whenever you encounter any technical bug in your Samsung device, be it any, the first thing which comes to mind is of finding a Samsung service center near me, but with us, you don’t have to employ much effort. We are available throughout the day to serve our customers with the best possible solutions. In order to save your device from total collapse or malfunctioning, immediate assistance is the most important. Reaching us is not a daunting task as we are easily available. Just make a call to our 24×7 customer helpline or write us an email; you can get in touch with our team of experts spontaneously. They will diagnose and troubleshoot the issues and they will not only help you in choosing a suitable solution for your device but also guide you in the right direction. Apart from this, they will also provide some preventive measures which will help you in avoiding some issues in your gadget in the future. You will be completely satisfied with our services, so no need to worry. Just reach us and grab the opportunity to avail of our exceptional services at your doorstep. The key to consumer satisfaction is offering comfortable and reasonable service. We understand this better and therefore, we present our clients with both onsite as well as remote assistance. You can even book an appointment with our team of executives through our helpline number: 042053349 . If you avail our assistance, then as soon as you call our experts, one of our executives will pick the device from your location if it requires any treatment at our Samsung service center Dubai and will deliver back at the same spot after providing the repair and replacement services, as per the requirement. In case, if it does not need such treatment, then they will perform the required repair procedures on the spot. We provide customized services for our clients, based on the issues and their requirements. We try to repair the product as soon as possible. In case of any damage or breakdown, immediate diagnosis is provided. On the other hand, if the issues are related to water ingress, then the diagnosis and repair might take a longer period of time. Thus, if you have encountered any issues with your Samsung device, then give us the opportunity of serving you with quality services at our Samsung service center in Dubai. You can choose our Samsung service center in Abu Dhabi and come in contact with us to save yourself from investing a lot of time and effort into finding a suitable service partner. In order to avail our effective range of services, you can call us at our helpline number 042053349 and grab instant services from our experts. Even you might also email us your queries and we will respond within the next 24 hours. Feel free to take our onsite live chat assistance and chat with our executives in real time to get instant solutions. We provide services which are quick, reliable & cost-effective in Dubai.